Build and manage WordPress websites faster with the one and only operating system for WordPress. Whether you have a webdesign business, managed hosting or you freelance your WordPress skills. 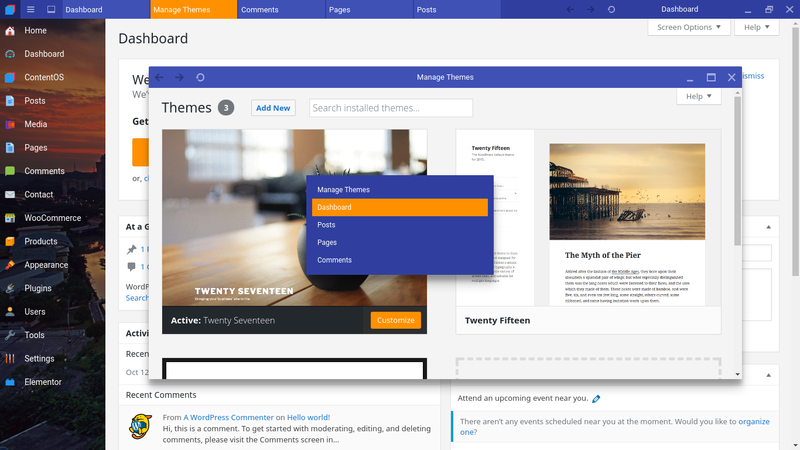 ContentOS will improve every part of your WordPress workflow and make you never look back. You can use the window system any way you want. For example you can open maximized windows and use it like a wp-admin. Except now you can open a new helper window whenever you want. Or open a new maximized window instead of a new tab. And switch between the windows blazing fast. With keyboard shortcuts. Also the admin menu is always static, not changing with every page load. This provides seamless navigation and makes it feel more responsive than wp-admin. On top of that, you can open frontpage in a window too, so you can browse your frontpage. And have all your admin tools a click away. And you don't have to leave the frontpage either. You can just open the admin page in a new window with frontend beneath it. 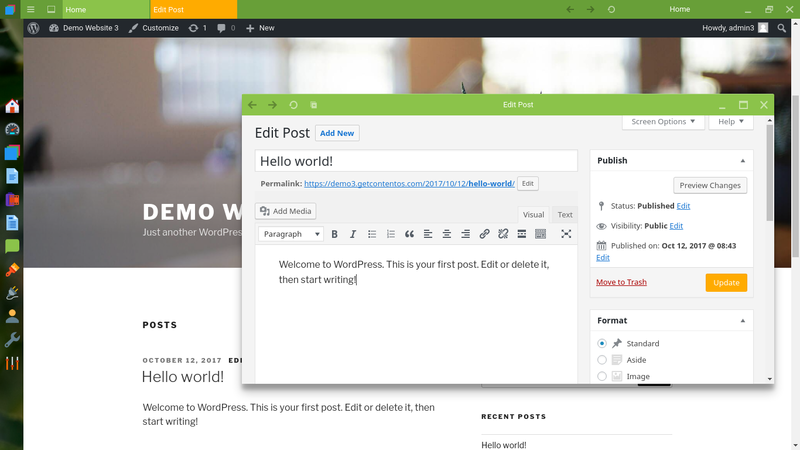 And the post preview updates automatically as you type, combined with window switcher, you can write your content and quickly preview it and go back to writing, all in an instant. You might think, this was just one website. How about managing multiple websites? Now you can truly manage all your websites from one place. Each website has its own viewport. So you can have all your tasks organized per website. Access your sites from the expanding menu. Switch between currently managed websites blazing fast with keyboard switcher. And if you have lots of sites, you can type their name or url to launch them quickly. All of your WordPress. In one beautiful application on your desktop. 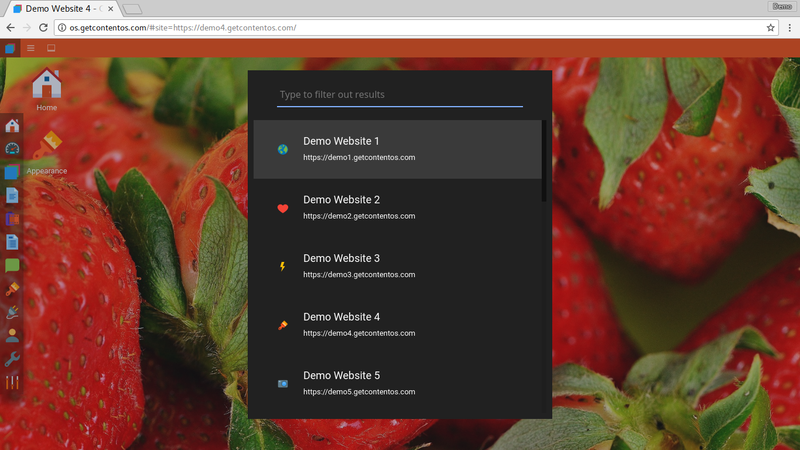 Or simply use ContentOS alongside other websites in a web browser without installing anything. The choice is yours. You spend a lot of time bulding and managing your websites. 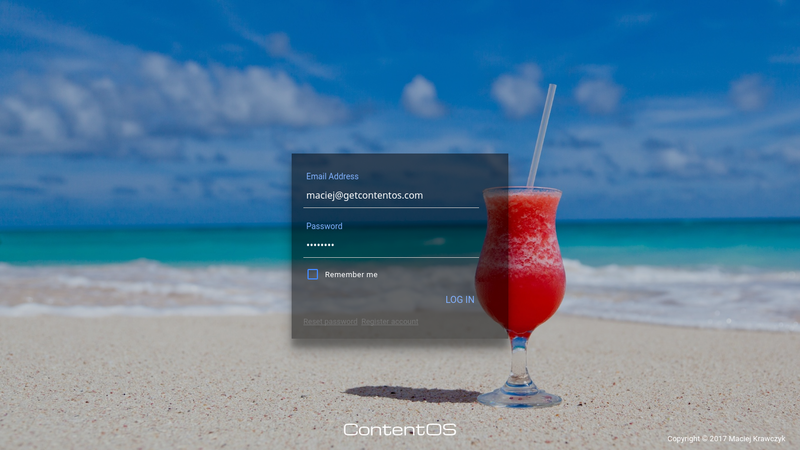 With ContentOS you get the best experience possible. 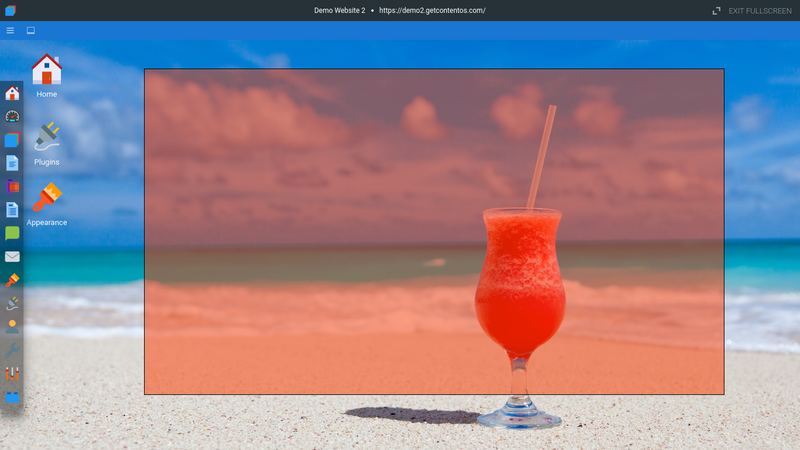 Design yourself a nice color scheme and upload a beautiful background. Quick search - Quickly launch any admin page by typing its name or find posts/pages to edit. Works even with custom post types. Desktop shortcuts - Easily create desktop shortcuts with drag and drop to quickly access the pages you use most frequently. Also be sure to follow us on Facebook and Twitter.